Well I guess it’s time I got back to the old routine. It has been a difficult few weeks but I have been able to keep running. I thought it was time I resumed my parkrun odyssey with today a visit to Clapham Common. 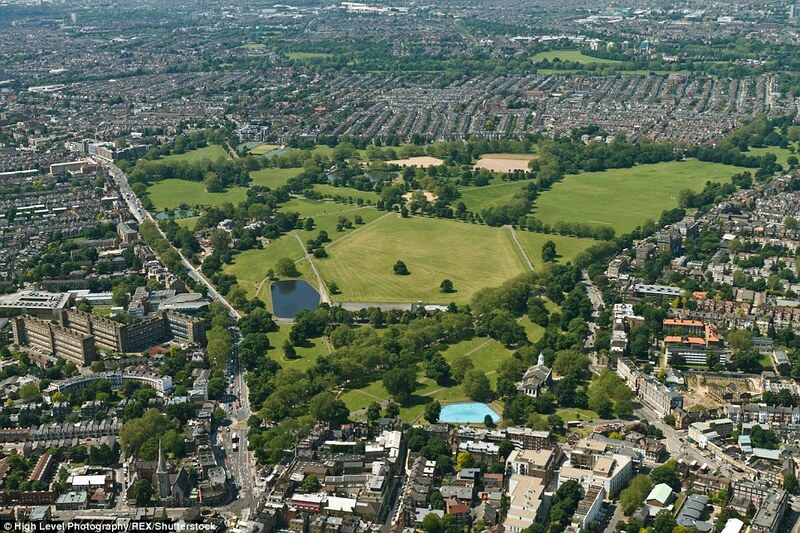 I know Clapham Common pretty well or at least I have driven past it many times on my way to somewhere else. In a densely populated corner of South London it is an oasis of open green spaces and,whenever I’ve driven past, there have always been crowds of people enjoying its attractions. Clapham, in its original incarnation as a village at the north end of Surrey goes back many centuries. It appears on old Anglo-Saxon maps and it is listed in the Domesday book as Clopeham. At the time it boasted “three hides, six ploughs and five acres of meadow” It remained as an insignificant village until the late seventeenth century when some of the finer folk from London started building their country houses in the area. One of the first prominent residents was Samuel Pepys, the diarist. Other notable inhabitants included Elizabeth Cook, widow of Captain James Cook, Edvard Grieg the composer, Sir Charles Barry the architect and the novelist Graham Greene. In the late eighteenth century a group of radical reformers, driven by their Evangelical Christian beliefs, amongst them William Wilberforce, lived here and worshipped at the same church - Holy Trinity. They were dedicated to such issues as prison reform, the abolition of slavery and of child labour. They became known as the “Clapham Sect” At around the same time the painter, JMW Turner, passed this way and did an oil sketch of the common. In more modern times, Clapham has used its excellent transport links to enable it to become one of the main commuter areas of London. Nearby Clapham Junction is one of the busiest rail hubs in the UK. Many of the grand houses around the common are still there though in many cases they have been divided up into flats. It’s an expensive place to live - you’d struggle to find a decent sized house for less than a million. As a reminder that Clapham is not immune to the nastier aspects of city life - there were a lot of police there today, sealing off the south side of the common. There had been a murder, another stabbing, during the night. At the heart of Clapham has always been the common. For centuries it was common land for the parishes of Clapham and Battersea. It was awarded park status in 1878. It offers over 200 acres of open grassland, fringed with trees. There are three ponds, the result of gravel digging in the past. It is an invaluable amenity for the local residents and it is heavily used for a variety of purposes. There are a lot of sports facilities and sports pitches marked out on the grass. One of the earliest mentions of cricket was a game played on Clapham Common in 1700. It is also the scene of a number of music events such as the Colourscape Music Festival. Whenever I’ve driven past there always seems to be a funfair or a circus pitched up there. I always thought that it would be an ideal place for a parkrun and I wondered when someone might start up a parkrun here. The answer turned out to be March of this year. It has already proved to be a very popular event with the number of starters getting up to five or six hundred (a record 640 finishers today!) It looks like it ought to be a reasonably fast course and the results suggest that this is the case. The parkrun course is a two lapper, starting on the west side of the common and going round the perimeter. It is largely flat and roughly half on dirt paths and half on tarmac. I had a little jog round before the start. The dirt path section was a little tricky as it is bumpy and uneven in places and today had the added difficulty of some muddy patches. The start is quite narrow and there is a sort of chicane after about 300 metres so you need to get away well. When I jogged back round to the start area, I saw the largest number of parkrunners I had seen for quite a while. So on the whole I was pleased with Clapham. I would certainly recommend it to other tourists and I might even return myself as it is within an hour’s drive of my house. My statistics for today - that was parkrun venue number 182. I was first in my age group and first overall on age graded scores (which, out of 640 finishers, is pretty good!) It also restores me to the state of being “LonDone”, that is having completed all the parkruns within the Greater London area ... at least until the next new parkrun starts up! I shall finish with a YouTube video. If you’d like a little glimpse of Clapham Common parkrun and have three minutes to spare.... here you go!